It's that time of the month again! Marvel has officially released its solicits for what we can expect from the House of Ideas in February of 2015. Not a ton of surprises this go around, but definitely a lot of interesting new stories going on! Below you can find my picks for the 10 most note-worthy of those February solicits in no particular order. Be sure to check out Newsarama for the full solicitations. 1. S.H.I.E.L.D. Meets Doctor Strange - What a coincidence! The comic bringing Marvel Cinematic U characters to the comics is featuring a character about to get his own movie! All kidding aside, if Mark Waid is writing, I'm there. This story also sounds awesome. • DIE HARD in the Sanctum Sanctorum! With Dr. Strange elsewhere, magical terrorists have taken over Strange’s sanctum! 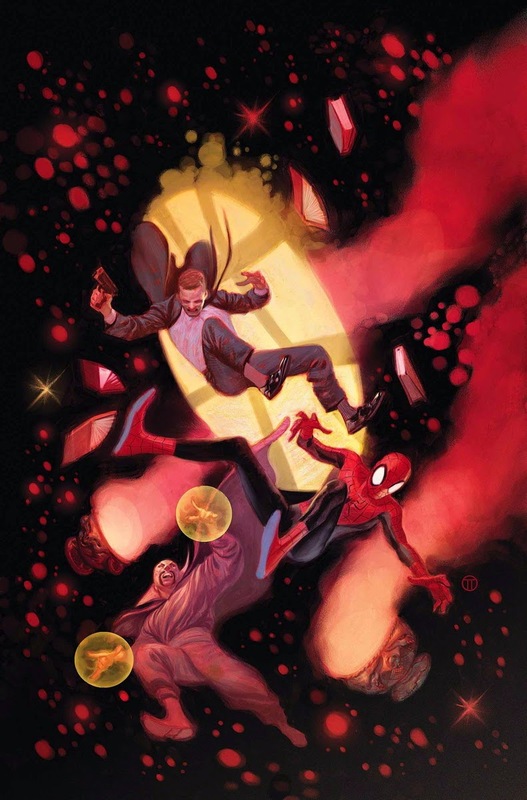 • Agent Coulson must lead a strike team into the mansion before time runs out for New York City, and his only available allies are Spider-Man and one of Strange’s oldest foes! 2. Spider-verse Ends - It will take a few months, but the huge Spider-man event Spider-verse will come to a close in February. The event promises to have aftershocks that will affect Amazing Spider-man and other characters/books. Superior Spider-man playing a key role in the climax definitely piques my interest. • THE CLIMACTIC CONCLUSION TO SPIDER-VERSE! 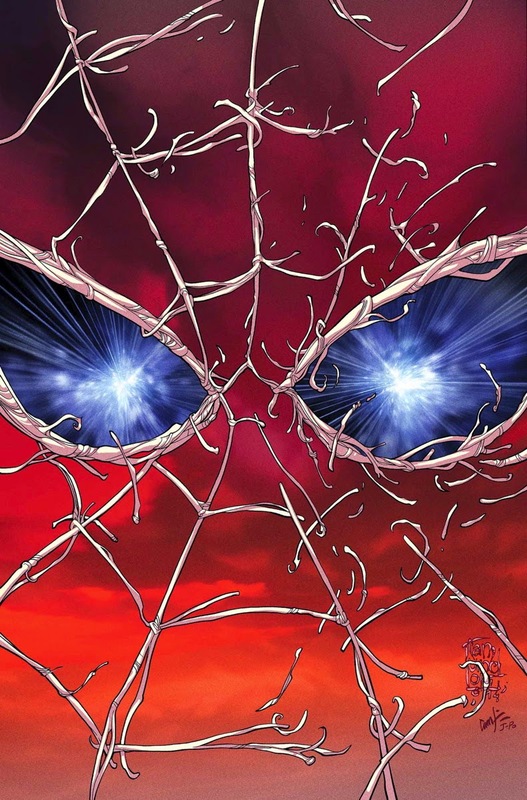 • The Prophecy is coming to fruition but Superior Spider-Man has something up his sleeve. 3. A Sith Lord Gets His Own Marvel Series - January sees the launch of the highly anticipated Star Wars by Jason Aaron. 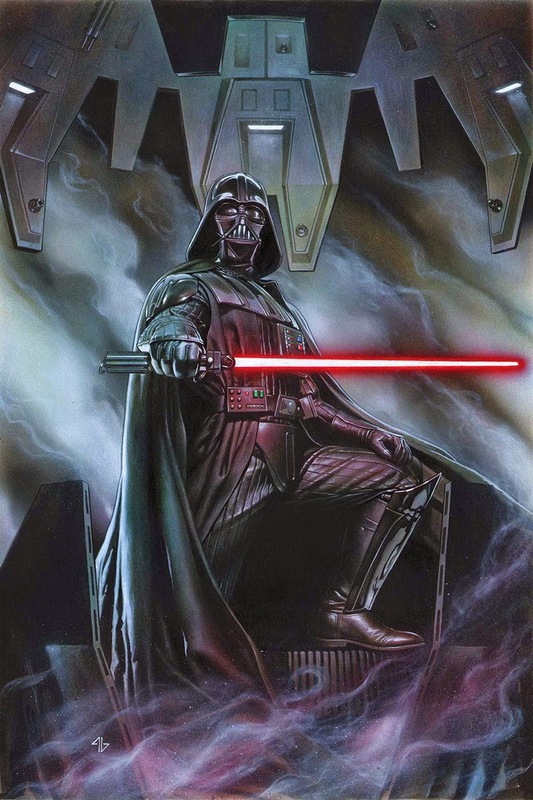 February will continue the huge IP's return to Marvel with the beginning of a Darth Vader on-going. Gillen and Larroca are an interesting team, Vader is a popular character, and Jabba the Hutt making an appearance in the debut issue should all point towards this book being a big hit. 4. Guardians Gets Yet Another Crossover - Remember The Trial of Jean Grey? Okay, I may not remember much of the story, but I remember all the wasted money. 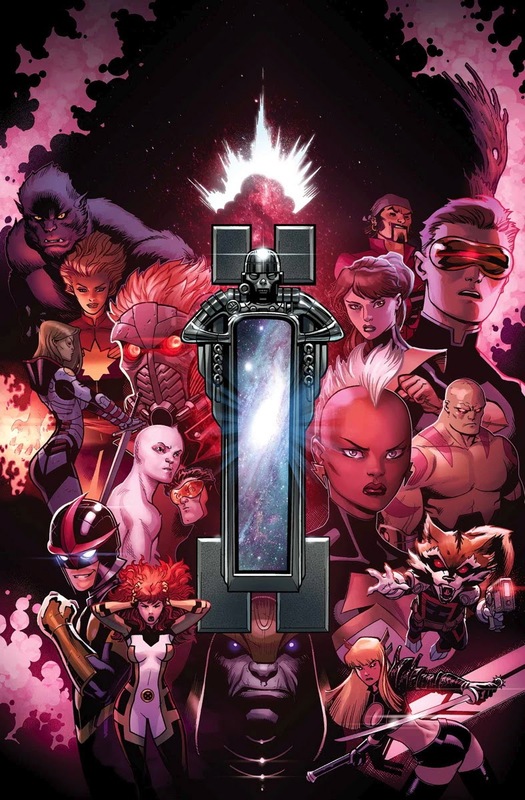 Bendis has decided it's time to let Guardians of the Galaxy and All-New X-men crossover again...and Star Lord, Nova, and more are coming along. I'm sure some fans will love this, but I'll just wait for trade. 5. Spider-Gwen Also Gets an On-Going - Fan demand is an interesting thing in comics. Many times it is ignored, but, more often than not, fan demand is a powerful tool in this industry. I have to say, though, that this is the first time in recent memory I've seen fan demand create a NEW series instead of save one. 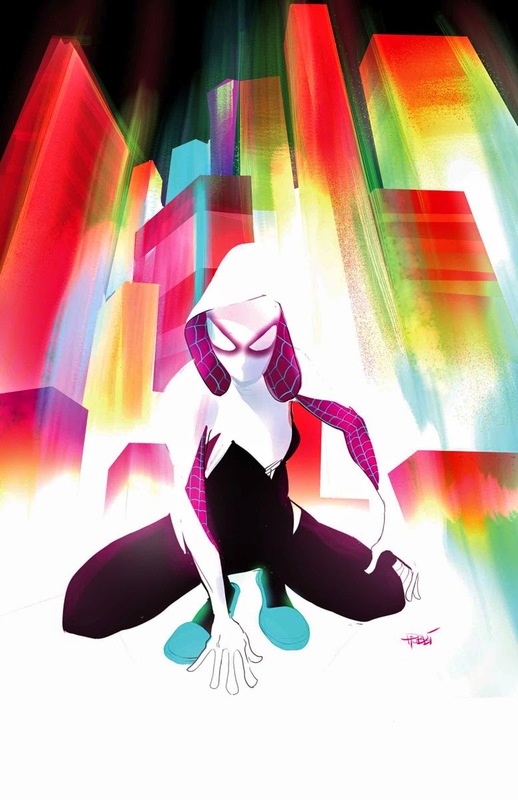 Fans are getting what they wanted with Spider-Gwen and I just may have to see what all the fuss is about. 6. Avengers Re-Uses an Old Cover - There's not much really known about where Hickman's run on Avengers is headed aside from Secret Wars, but this solicit is too odd to ignore. 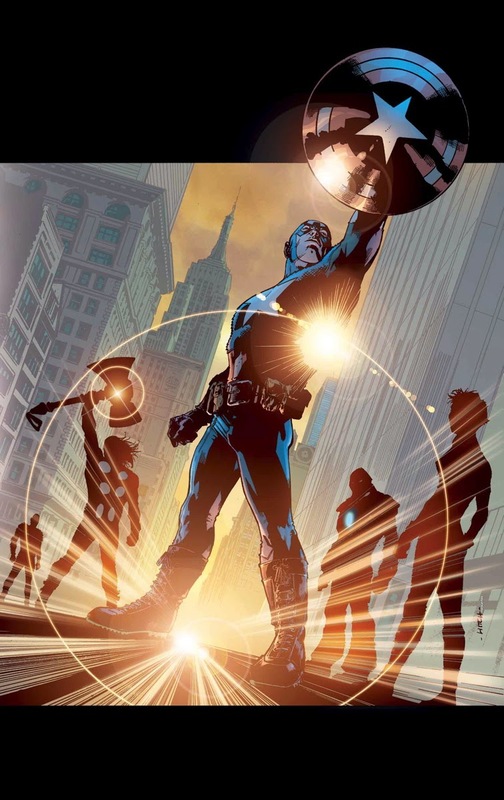 According to Marvel, this is not a mistake...February's issue of Avengers will use the cover for Mark Millar's The Ultimates #1 from 2002. No explanation given. Let the speculation begin! IN 3 MONTHS…TIME RUNS OUT! 7. CM Punk Comes to Marvel - Wrestling fans unite! CM Punk is the latest celebrity author to be recruited to Marvel. 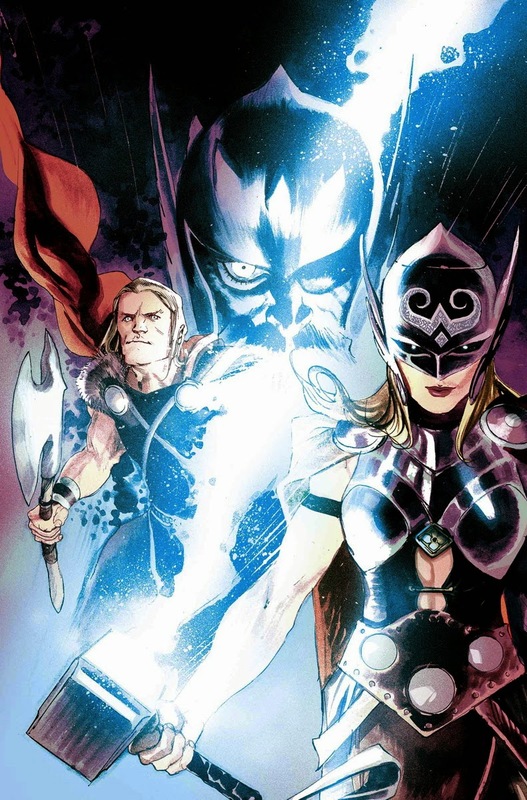 The wrestler will begin his comic writing career with one of the hottest books on the shelves: Jason Aaron's Thor. I'm more excited for Guillory's art and the stories by Aaron and Stevenson, but this looks like it could be an impressive annual! 8. Silver Surfer versus Galactus (Again?) 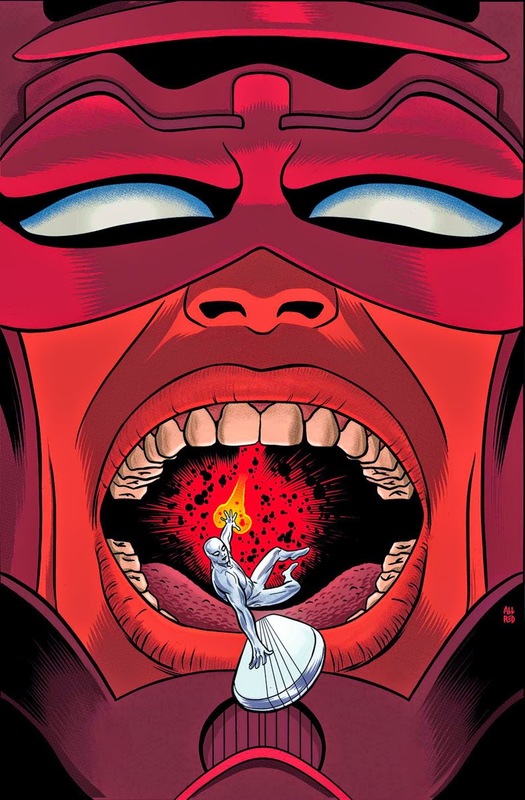 - We here at GeekRex are big fans of Dan Slott and Michael Allred's Doctor Who-esque run on Silver Surfer. It looks like the Surfer's past with Galactus, which he has mostly kept hidden from his companion, Dawn Greenwood, will come to the forefront in February. I guess this makes Galactus...The Master? • If you weren’t a true believer before SILVER SURFER #10, you WILL BE AFTER! 9. 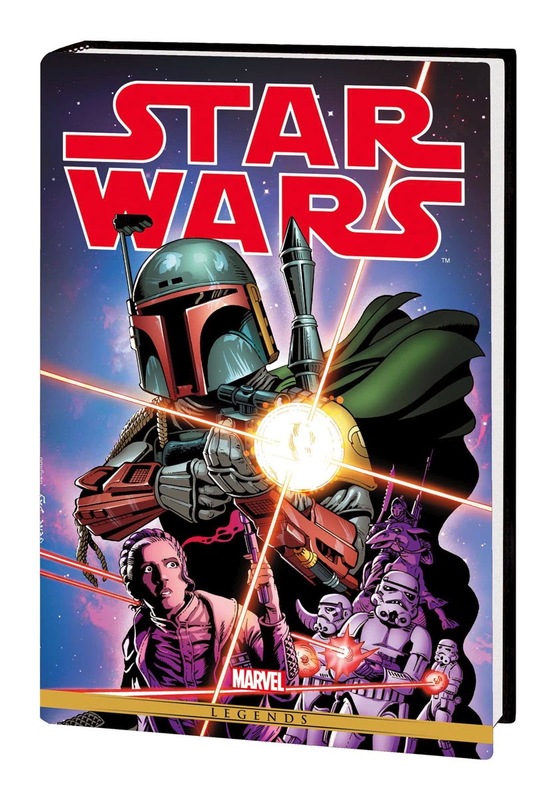 Marvel Re-Prints Old Star Wars Comics - We actually reported on this story back during San Diego Comic Con, but now we have confirmation that a second omnibus of Marvel's original Star Wars comic from 1977 will continue to be reprinted in omnibus form. This collection includes all the issues dealing with the events and aftermath of Empire Strikes Back. A must own for all fans. The very first STAR WARS comic-book series continues! After the events of THE EMPIRE STRIKES BACK, loveable rogue Han Solo is lost, frozen in carbonite. But as the search for Solo begins, Imperial Forces and other troubles keep getting in the way. Princess Leia clashes with Darth Vader! Luke Skywalker goes on trial for treason! C-3PO and R2-D2 face danger on a droid moon! Lando Calrissian finds Cloud City deserted! If the Crimson Forever doesn’t get the rebels, maybe the new Imperial super-weapon will! And a new member joins the gang, with a crush on a certain handsome Jedi! Meanwhile, the discovery of a gold statue of Han reveals a hidden story from his and Chewbacca’s past. And who are the Hoojibs? It’s Star Wars in the Mighty Marvel Manner! Collecting STAR WARS (1977) #45-78 and ANNUAL #2. 10. Ultron is Filled with Rage - I'm sure we all know Avengers: Age of Ultron will be released in May of 2015. Marvel wants to make sure you have something Ultron-related to purchase beforehand that isn't their own Age of Ultron. 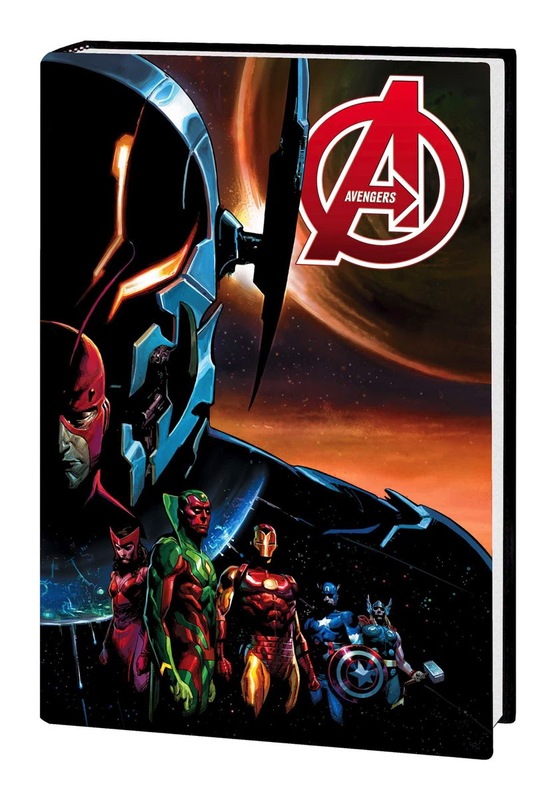 Enter this original graphic novel by Marvel favorite Rick Remender. This story sounds about as crazy as anything else Remender has done...and a lot better than that other Ultron story Marvel recently did. It was another glorious victory for the Mighty Avengers. Good triumphed over evil and Ultron was shot into space, never to be seen again. Or so they thought. Now, years later, the homicidal artificial intelligence — so long devoted to ending life on Earth — has found a new world to conquer…one with its own horrific legacy. When Titan, birthplace of Thanos, falls, Planet Ultron rises in its place! Thanos’ brother Starfox must seek the aid of his former allies — but the Avengers he finds are radically different from the ones he once knew. Among them is Ultron’s creator Giant-Man — and when Hank Pym confronts his now planet-sized “son,” the responsibilities of fatherhood have never loomed so large. Rick Remender (UNCANNY AVENGERS) and Jerome Opeña (AVENGERS) unleash the full robotic rage of Ultron on Earth’s Mightiest Heroes! What are you looking forward to from Marvel this February? Let us know in the comments!